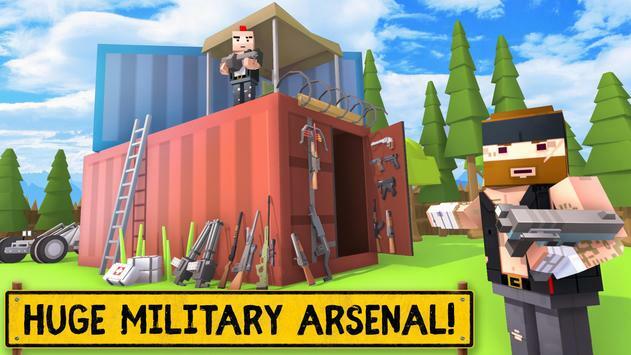 Do you like military blocky pixel games? 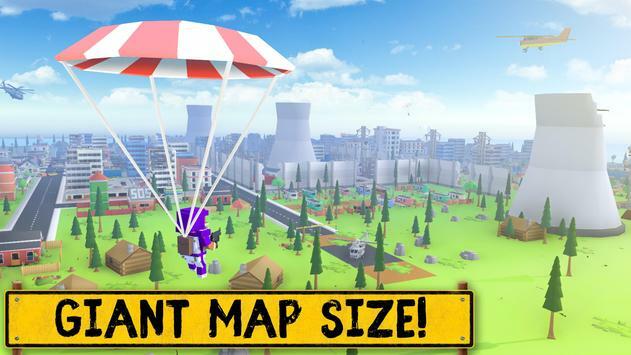 Try to survive on crazy pixel battle arena after apocalypse in the block city! Jump out of the survival helicopter on the dead island, find the best loot, kill the enemies. BUT be afraid of the shrinking zone, it does significant damage! Shoot with A, pixel gun, smg, multiplebarrel and other weapons. BE THE LAST lone survivor! You dont need to 7 days to die, you can be killed in one minute in our pixel games! Because it could be your the last day on earth, be very carefully with dead zone it moves very fast and can easily eat you. 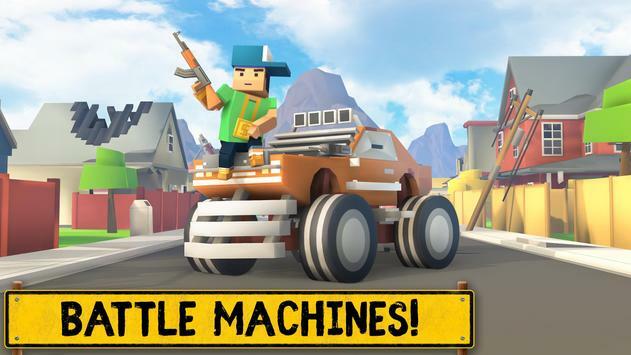 Huge military arsenal such as A, minigun, sniper guns, pixel gun, smg, pistols and so on. Start the end of the world, JUST SHOOT with pixle gun! Of course we have battle cars or combat vehicles and even we have a TAN! Stay unturned with our vast pixel world! Deliver your block force as fast as it possible, and hide yourself from dead zone! You dont need to push the shot button, all you have to do is just pixel combat and prop hunt. Were hoping that vainglory its not about you, do not spare anyone! Grand map size, thats what we have, its surrounded by the mountains and dead zone. Big radiation island this is the place where you have to survive while you plaiyng in the block city. We have more than 20+ players in the same map in the multiplayer online shooter! Please review PIXELS UNNOWN BATTLE GROUND Game and submit your comments below. We will collect all comments in an effort to determine whether the PIXELS UNNOWN BATTLE GROUND app is reliable, perform as expected and deliver the promised features and functionalities.